Believe it or not, Venus Williams used to be a better tennis player than Serena Williams. The elder sister made her WTA debut in 1994 (at 14 years old), with Serena turning pro a year later (also at 14). 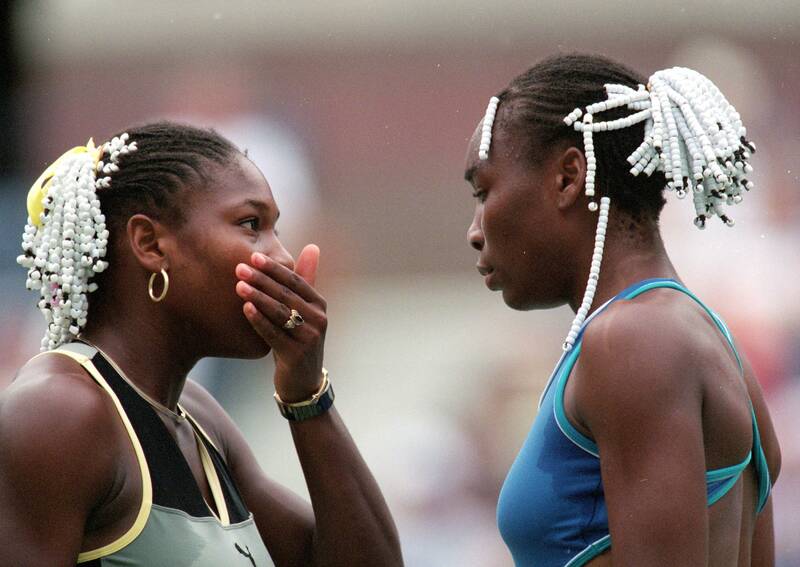 However, it was Venus who won four Grand Slam titles between 2000 and 2001, compared to Seri-ri’s one. Not only that, Venus earned the No. 1 ranking in the world before Serena ever did. It wasn’t until Serena knocked off Venus in back-to-back-to-back finals in ‘02 that she officially snatched the crown to become the queen of tennis...for good. Although Serena’s 23 Grand Slam titles make her the greatest tennis player of all time—men included—don’t sleep on Venus. Don’t sleep on her seven Grand Slam titles, four Olympic gold medals, her huge 130-mph serve, or the fact that she was the first African-American female tennis player to be ranked No. 1 during the Open Era. And never forget the white beads and braids. If it weren’t for Serena, Venus would be the best women’s tennis player of this generation. And the numbers back it up. But the 38-year-old isn’t worried about that. “I’m not really focused on a legacy,” Venus told Complex as she prepped for her second match at this year&apos;s U.S. Open (she&apos;s now appeared at 20 of those), while promoting her long-standing partnership with American Express. "I&apos;m focused on the now." As much as Venus doesn’t want to talk legacy, everyone online will do it for her. And if there’s anything we’ve learned about athletic legacies in the past couple of years, it’s that they extend beyond the court. The best example is LeBron James, who opened his I Promise School in Akron, Ohio, in July. The institution offers free education, free breakfast and lunch, and free college tuition, among other things. Actions like that are something we ought to consider when accessing GOATs, because sports and politics are not separate matters. And nothing in sports screams injustice more loudly than the inequality between male and female athletes. Just last weekend, Stephen Curry penned a letter for The Players’ Tribune demanding the closing of the pay gap—something that WNBA players Skylar Diggins-Smith, A’ja Wilson, and Angel McCoughtry also called for within the last six months. In 2015, Hope Solo and Megan Rapinoe—members of the 2015 World Cup-winning USWNT—advocated the same after earning just $2 million in prize money, compared to the triumphant 2014 World Cup German team’s $35 million. These exact sentiments were expressed by Curry in his letter and, perhaps most gut-punchingly, were touted by 2016 presidential candidate Hillary Clinton in her unsuccessful run for office. Today, Williams refrains from commenting on the plight of female athletes, but she does discuss the role athletes play in using their voices to affect change. While her answer is nearly as politically correct as you can get, it reminds us mere mortals that athletes are human, too. Not everyone can readily embrace fame or the spotlight—nor do they even necessarily ask for it in the first place. It’s not easy being a LeBron or Colin Kaepernick. The struggle of determining whether to speak out—taking financial ramifications and individual disposition into consideration—is real. While it’s tough to argue that it’s an athlete’s responsibility to use his or her platform, electing not to do so will impact the legacy we define for them (fairly or unfairly). Venus Williams will go down as a tennis icon and an advocate for social justice. No one, not even Serena, can take that away from her.